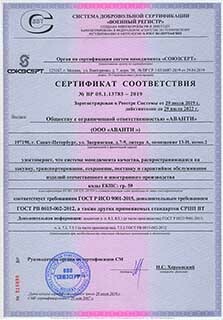 "Avanti" - certified supplier of the electronic components of domestic and foreign production. Founded in 1997. in St. Petersburg. We are focused on consumers' interests, we guarantee our clients an individual approach, quick response to all requests and competitive prices. We strive to increase the number of permanent clients, to be honest and long-term collaboration. The successful development of our client's business - the best assessment of the quality of our work. Caring for our employees, their welfare and professionalism - the basis of the existence and growth. Continuous improvement of the quality of our service through the introduction of advanced technologies, the requirements of the customers and striving to exceed their expectations. Since 2001, the company developed, implemented and now using effective quality management system (QMS). 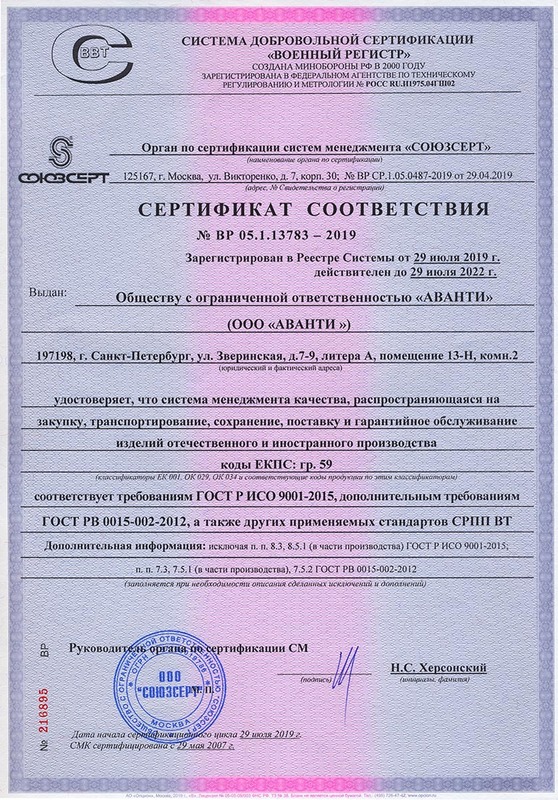 In 2013 we received a quality certificate number №ВР 05.1.6283-2013 certifying compliance with the QMS requirements of ISO 9001-2011 and GOST RV 0015-002-2012 at delivery and warranty parts ERI special domestic and foreign production.